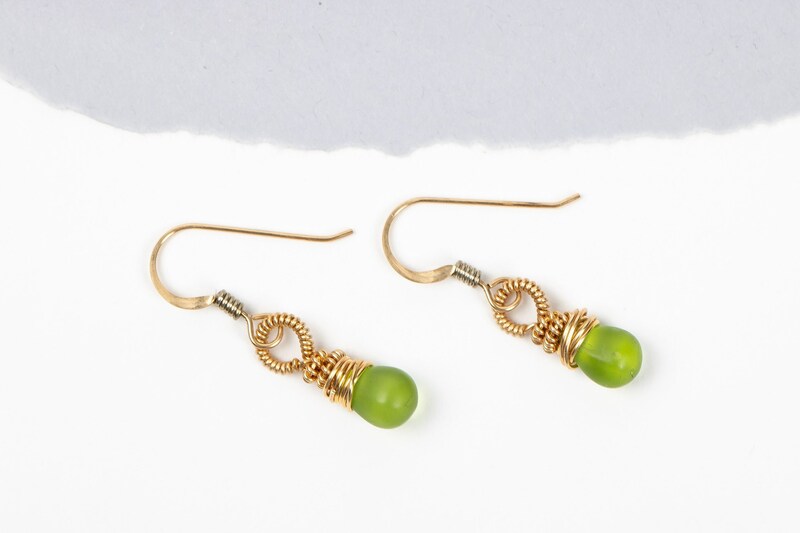 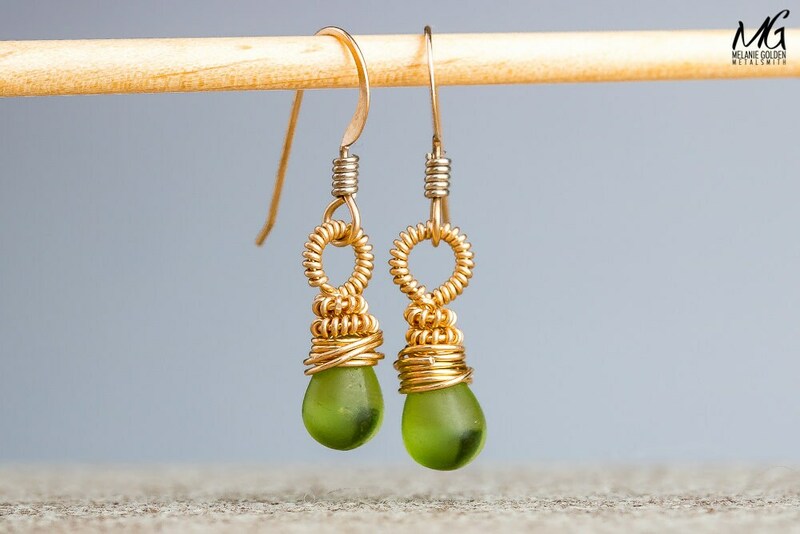 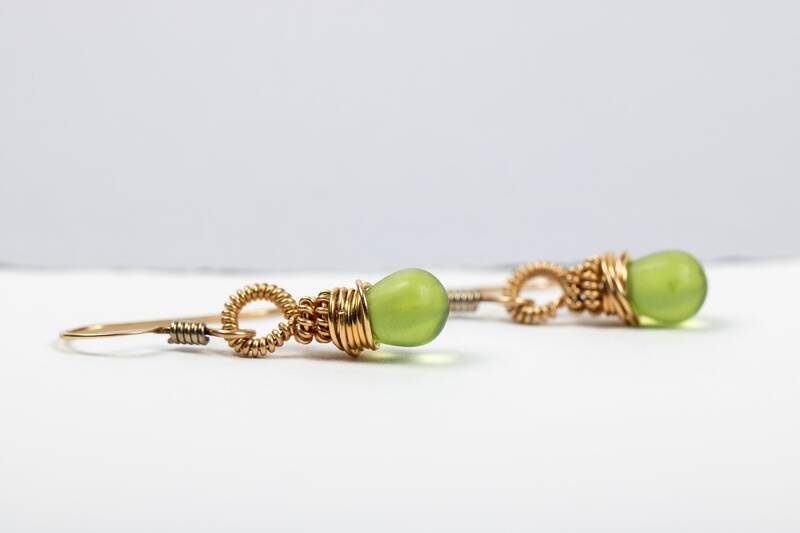 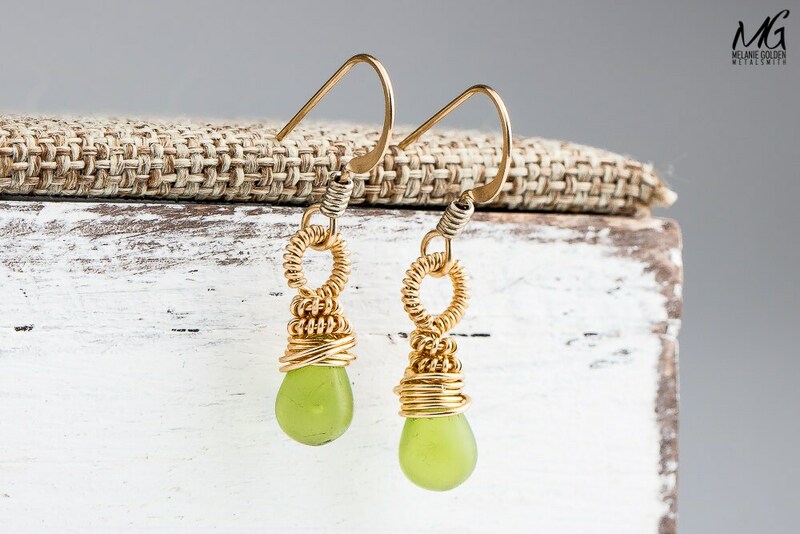 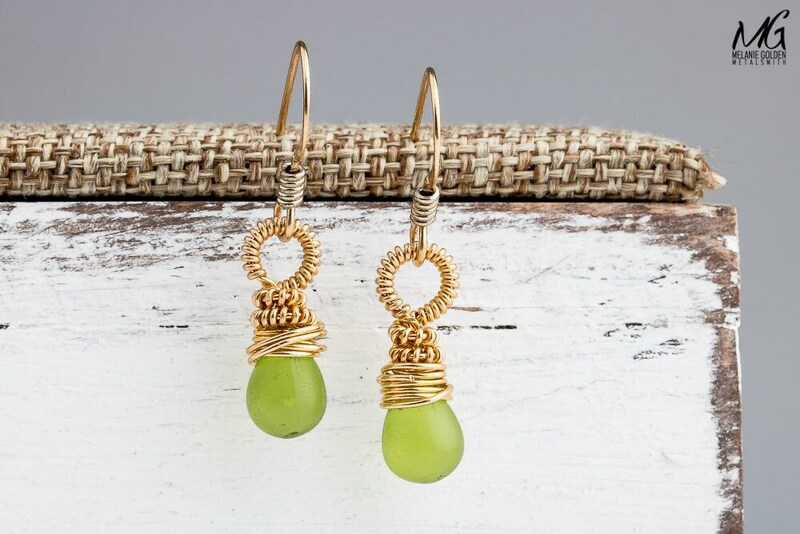 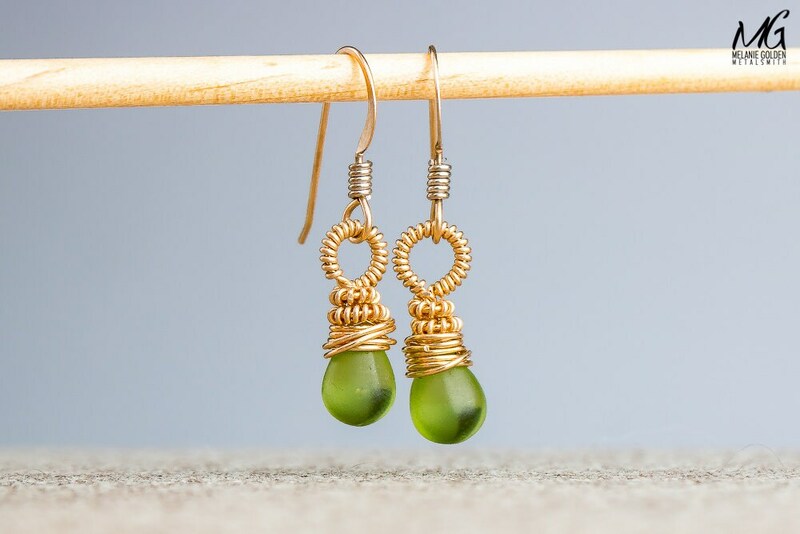 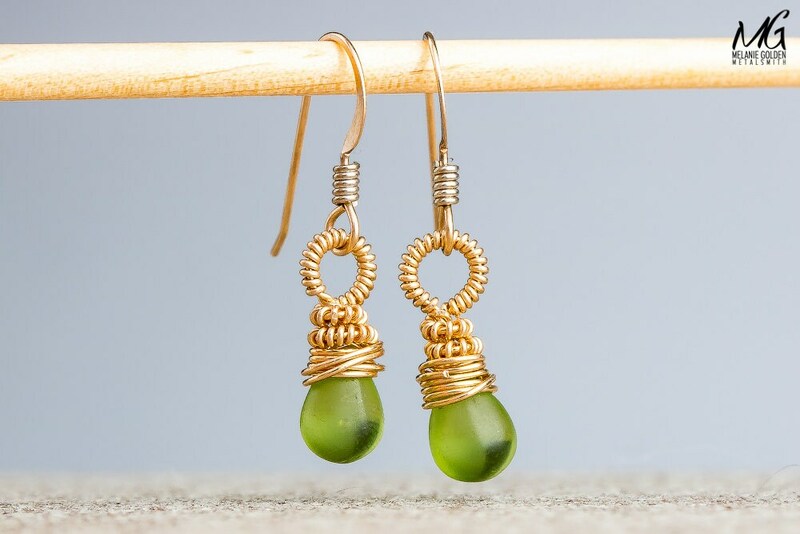 I created these earrings from green Czech Glass that I wire wrapped in 14K Gold Fill. 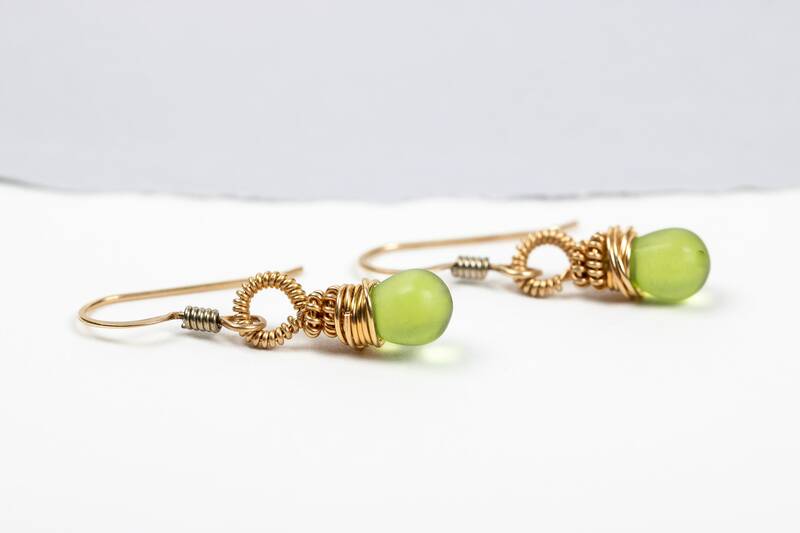 Simple and pretty earrings for any occasion. 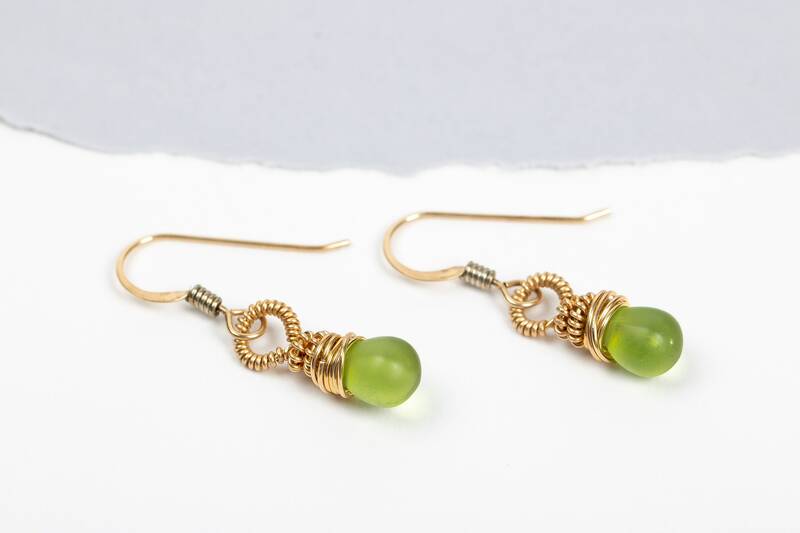 - Earrings are made entirely from 14K Gold Fill and Czech Glass.